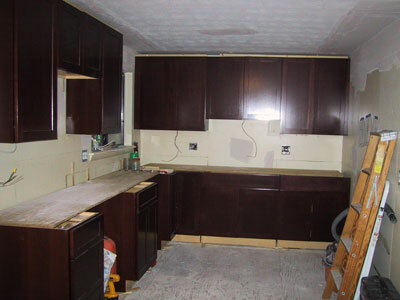 We begin Day 5 of kitchen renovation. Things are taking shape. My psyche has acclimated to the disruption. I was able to get some work done yesterday. Cut some of the packing boxes into sheet-music size oblongs for my store mailings. Tackled this week's posting of 25 pieces of music. Jim was in the house so I could indulge myself in an afternoon nap -- always a balm to the spirit. Dinner out with Alison and Joanne gave us some laughs and relieved our sense of living out of a motel room.